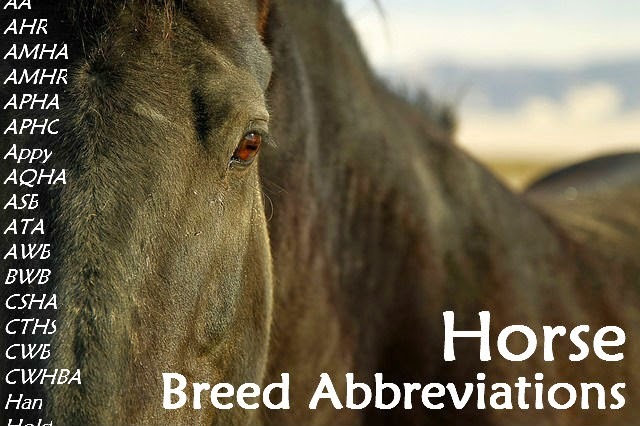 Have you ever been confused by horse breed abbreviations? It seems a horse is never simply just a horse! 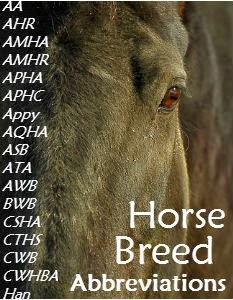 Check the comments below for more horse breed abbreviations! Hi from Ireland, from 2015 some ISH (Irish Sport Horses) have also (ITH) included after their name i.e. eventer Kilronan (ISH) (TIH) it stands for Traditional Irish Horse. They have a Facebook page. ive seen AES and ZANG i cant find the breed of horse for theses abbreviations. I found this while trying to find out what ZANG stood for as well. It is ZANGERSHEIDE. I am also wondering about AES and ZANG. I have also seen HESS and I'm dying to k ow what it means!